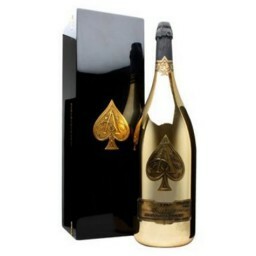 Amand de Brignac Ace of Spades Jeroboam, 3 litre volume. This champagne comes complete in its golden gleaming bottle complete with ace of spades logo on the front. A fantastic champagne which is 4 times the size of a standard bottle.